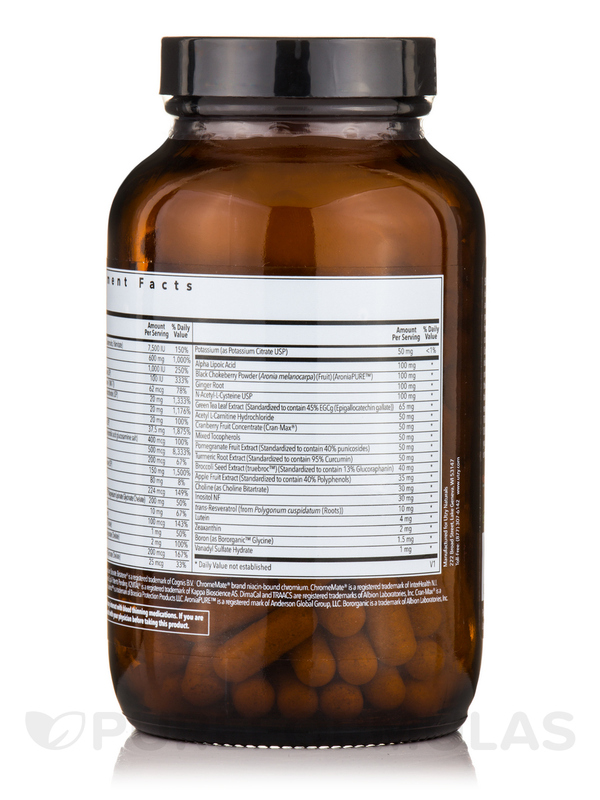 This foundational multi-nutrient formula; including vitamins‚ minerals‚ and antioxidants. Perfect for every day health. 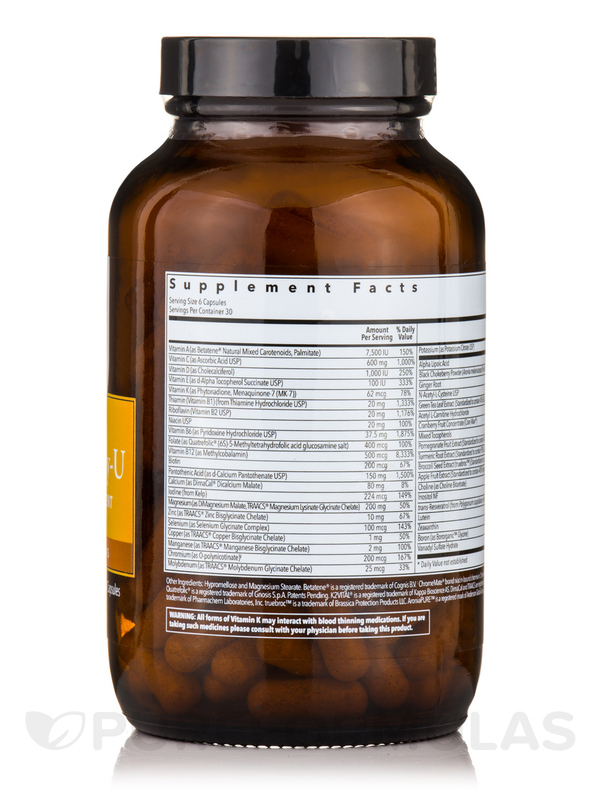 According to the USDA‚ the majority of the US population is deficient in vital nutrients. 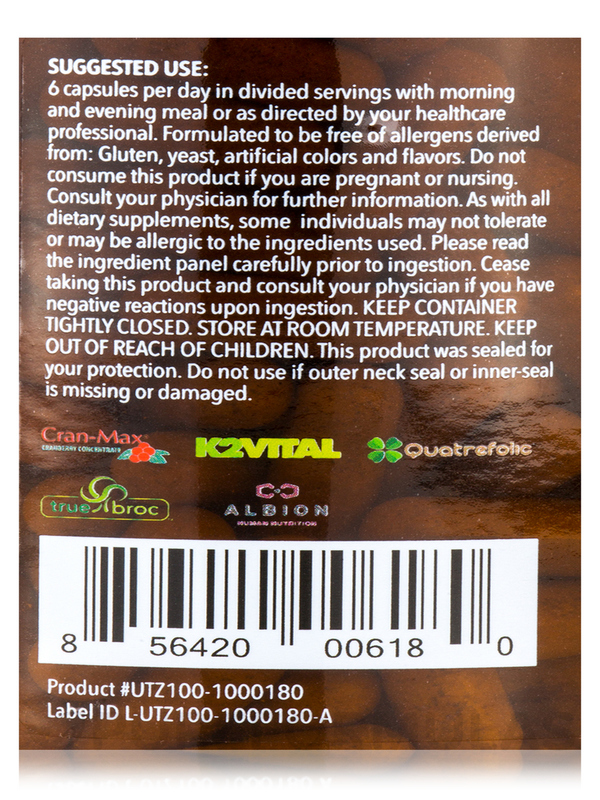 Utzy Naturals created Essentially-U to make sure that you aren’t among them. This product is comprised of vitamins‚ minerals‚ and phytochemicals that your body requires in balanced amounts to function optimally. 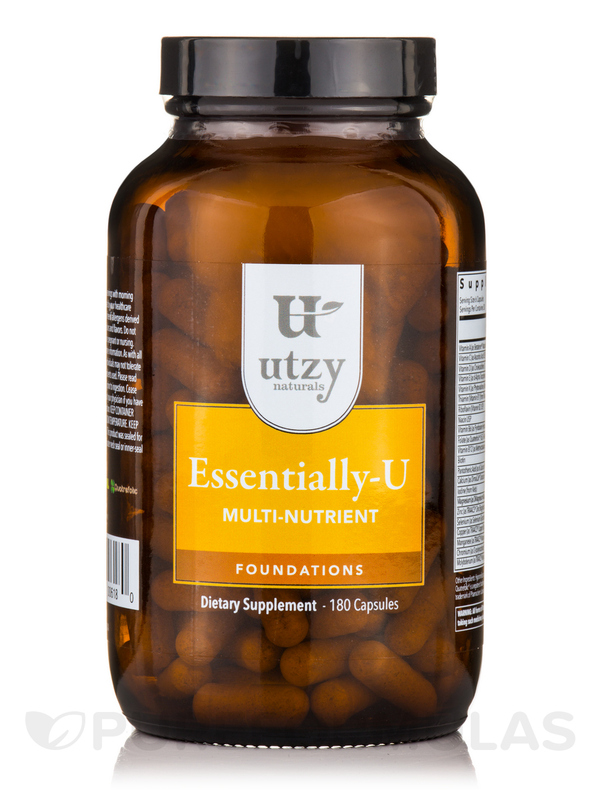 Additionally‚ Utzy has carefully formulated Essentially-U to contain key amounts of necessary micronutrients‚ such as trace minerals and antioxidants. Taking Essentially-U will give you daily confidence that you are giving your body all of the nutrients that it needs. 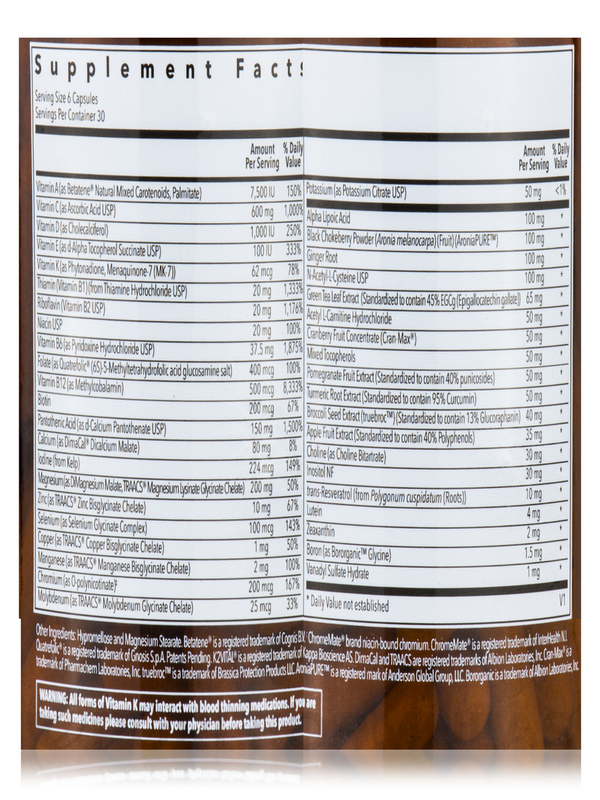 Other Ingredients: Hypromellose and magnesium stearate. Formulated to be free of allergens derived from: Gluten‚ yeast‚ artificial colors and flavors. 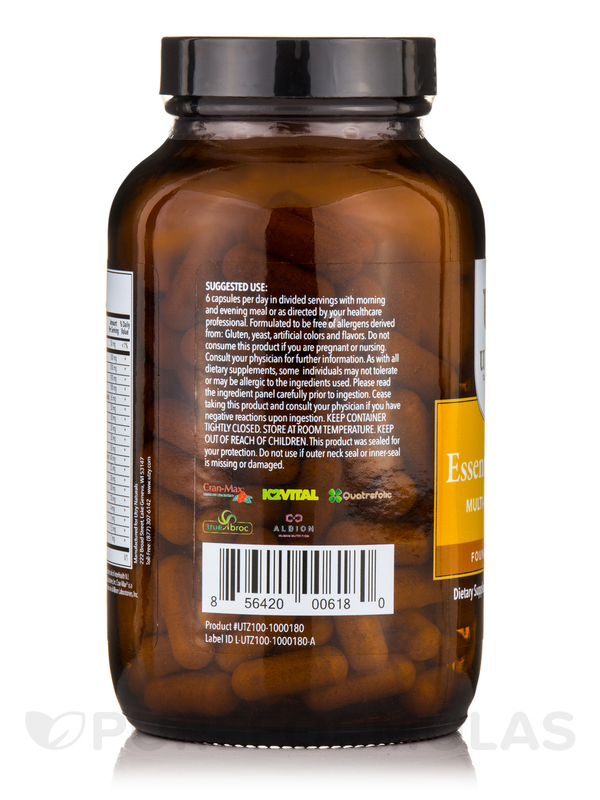 6 capsules per day in divided servings with morning and evening meal or as directed by your healthcare professional. If you are pregnant or nursing‚ consult your physician before taking this product. 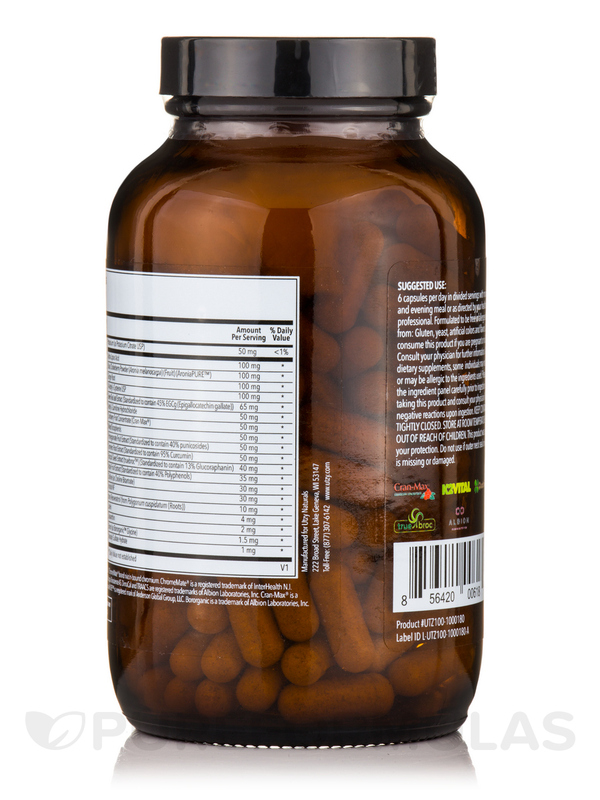 As with all dietary supplements‚ some individuals may not tolerate or may be allergic to the ingredients used. Please read the ingredient panel carefully prior to ingestion. This product was sealed for your protection. Do not use if outer neck seal or inner-seal is missing or damaged. All forms of Vitamin K may interact with blood thinning medications. If you are taking such medicines please consult with your physician before taking this product.